Mirroring Whyte’s recent auction and its own Irish sale back in April, de Veres’ top performer on May 21 was another work by William Scott. 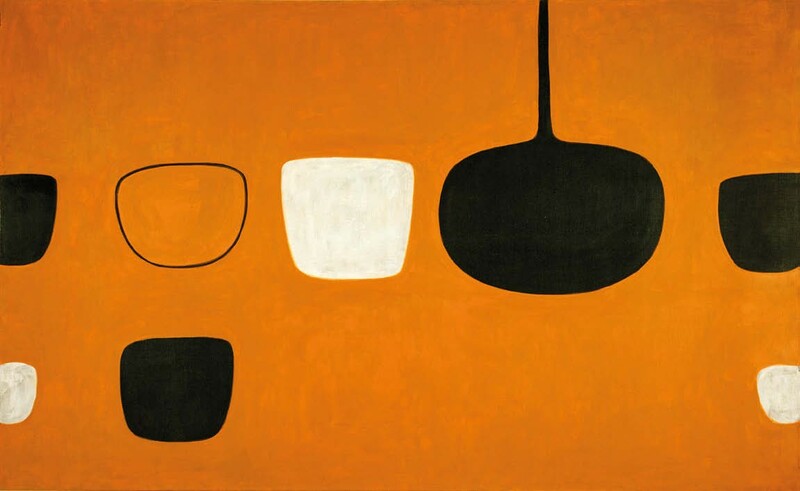 Still life with 8 Forms (1970), a large 4ft x 6ft 6in (1.22 x 1.98m) oil on canvas, dated to the same period as the Scott at Whyte’s, but instead of blue and white it was painted in a (less commercial) palette of orange, black and white. Privately consigned, it drew two interested parties but failed to drum up any serious competition and was knocked down below bottom estimate at €195,000 (£169,600) to a private buyer from Dublin. A Scott artist’s proof, Black Pan and Jug (1970), pitched at a more modest €5000- 7000, drew decent bidding though and sold for €9500 (£8260). Prints by well-known Mod Brit artists are seen as a relatively affordable alternative to an expensive original work and have become increasingly popular over the last decade. 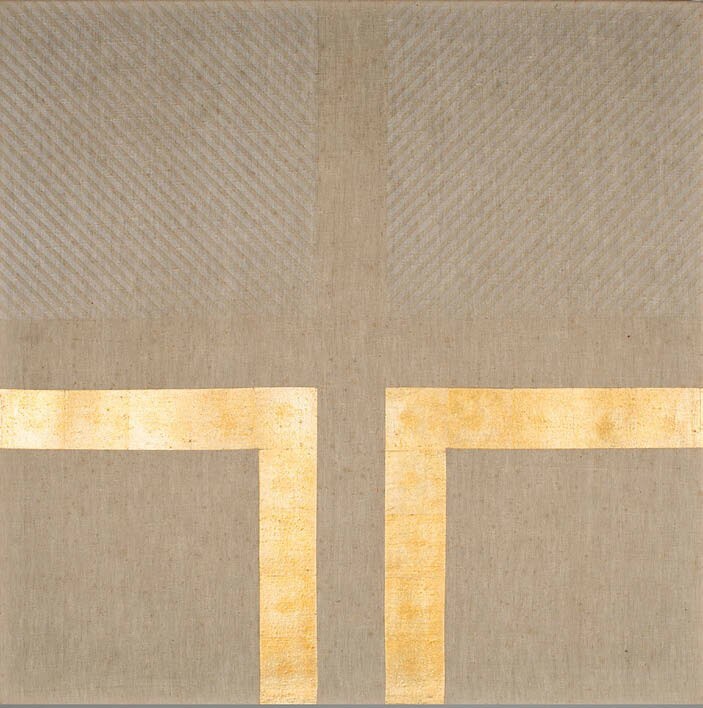 Patrick Scott (1921-2014), another popular abstract Irish artist of no relation, was represented in the sale with a group of seven 1980s gold leaf works. Acquired directly from the artist and consigned from a New York collection, the group all got away to a variety of private Irish buyers. The auction house has sold around 20 over the last year, including a large gold leaf example from 2005 for €30,000 in November 2016, among the highest prices for the artist at auction.